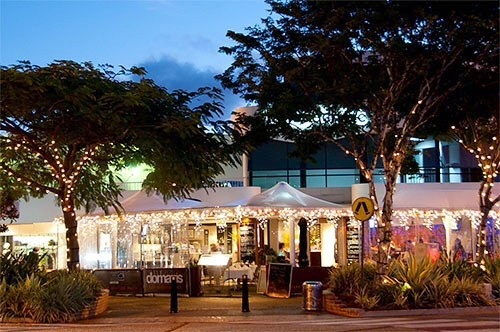 If you have never visited Tedder Avenue at Main Beach, then you are certainly missing out - It is a beautiful tree-lined street that has some of the best cafés, restaurants, bars, boutiques and salons on the Gold Coast. It has been a favourite place of mine since arriving on the Gold Coast a few years ago, it has a certain something that makes it stand out. 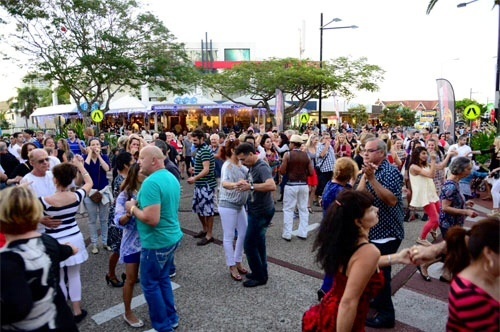 As well as offering the best in dining and retail, they also have awesome free events throughout the year, the next one on the calendar being the Christmas on Tedder - Carols and Street Party on Sunday 7 December from 6 till 10:30pm. What is even more excellent is that this event is completely free. 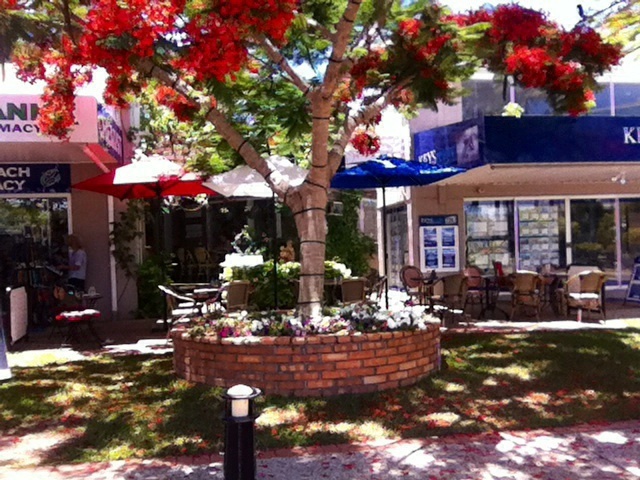 What a great way to spend a Sunday afternoon - head down on the 7 December and visit one of the many cafés, bars and restaurants along Tedder Avenue, before heading out to hear some Christmas carols and then dance the night away at the street party. The restaurants are really good, with loads of variety and cuisines from all over the world, plus some of the venues are just beautiful to look at, especially at night. I went with a group of mates to their Tapas on Tedder event which was so much fun and really well organised. There was loads of people, loads of entertainment, loads of energy and Tedder Avenue is just beautiful at night when all the bars, restaurants and trees are lit up with fairy lights. I expect much of the same for this event, although with added Christmas sparkle, I absolutely cannot wait to start this years Christmas celebrations in one of my favourite places. 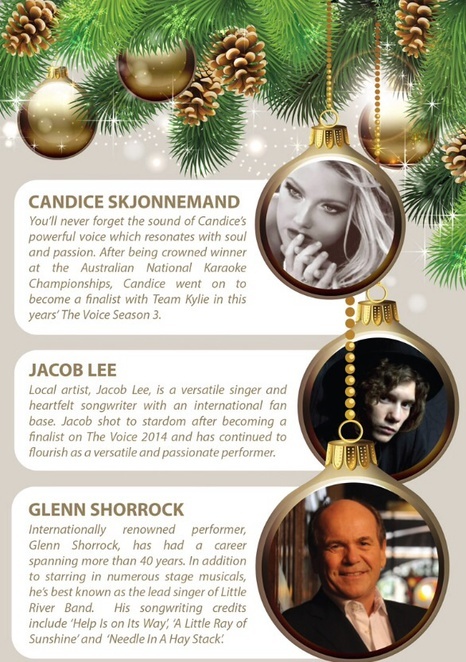 The event will feature lots of local and international artists including special guests Jacob Lee and Candice Skjonnemand whose amazing voices wowed on this years The Voice 2014, getting them both all the way into the show final. Also look out for the awesome corporate rock band Hullabloo and TV presenter Jessica Skarratt. This years headline act is Glenn Shorrock (best known as frontman of the Little River Band) playing with his band Rock the Night Away, showcasing all their biggest hits. Plus you will see dancers and singers from Trinity Lutheran College and the SJJ Creative Dance School, performing and singing and keeping everyone in the party mood. The Christmas Carols will start at 6pm, with the street party kicking off at 8pm. Leave the kids, bring the kids, have a date night or come with a group of mates - everyone is welcome and there will be plenty to keep everybody entertained and full of festive cheer. Remember it is free to come along and the atmosphere is always electric with people dancing in the streets, and everyone just having a fabulous time. Whether heading into one if the many bars or restaurants or staying outside to soak up the street party vibe, you are sure to have the best of nights. Don't miss out. 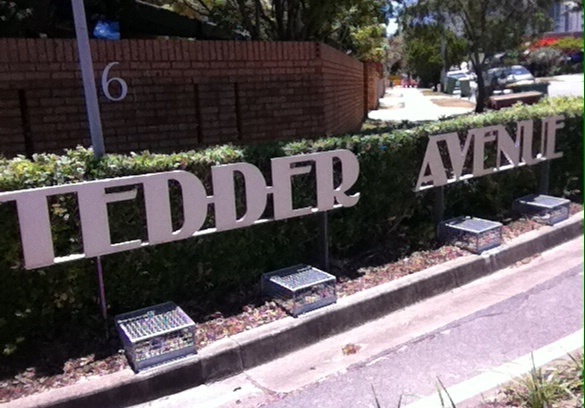 For more info and updates please visit the Tedder Avenue website or visit their Facebook page or follow them on Twitter.